Founded in 2009, Strawesome is a family-owned and operated Michigan-based green company with a commitment to health and the environment. 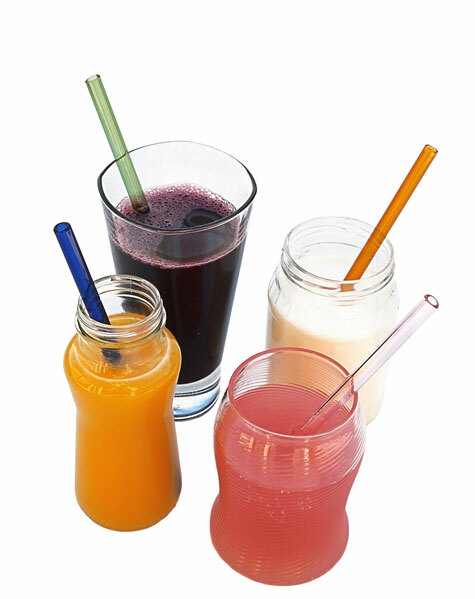 We offer fun, safe, and reusable glass drinking straws to people of all ages - making it easy to go green! Our straws are all hand-made in our workshop in Michigan and we take pride and care to offer the best products and service possible. Made of borosilicate glass tubing which is the strongest commercially available glass. This is the same glass that Pyrex® is made from. Borosilicate glass is also non-toxic, so you can feel confident when drinking hot or cold liquids that no toxins are leaching into your beverage. Annealed (slowly cooled to make it tougher and less brittle) so that it is dishwasher safe. Beautiful yet functional. The decorative version allows you to distinguish which straw is yours and also stops it from rolling on flat surfaces. 100% satisfaction guarantee. If you don’t love your straw, send it back for a full refund. Lifetime guarantee against breakage. If you break it we will replace it.